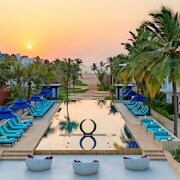 Situated by the sea, this luxury resort is within 2 mi (3 km) of Vaddi Beach, Varca Beach, and Benaulim Beach. Colva Beach is 3 mi (4.8 km) away. 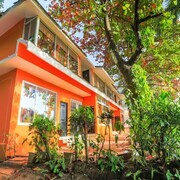 Situated in Benaulim, this resort is within 1 mi (2 km) of Maria Hall and Benaulim Beach. Colva Beach is 1.3 mi (2.1 km) away. 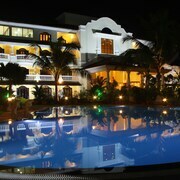 Situated in Benaulim, this hotel is within a 10-minute walk of Maria Hall and Benaulim Beach. Colva Beach is 1.2 mi (2 km) away. 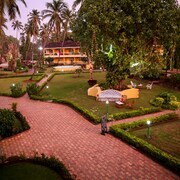 Situated in Benaulim, this resort is within 1 mi (2 km) of Maria Hall and Benaulim Beach. Colva Beach is 1.8 mi (2.9 km) away. 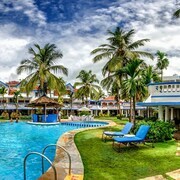 Nestled on the beach, this Benaulim hotel is just steps away from Sernabatim Beach and Benaulim Beach. Colva Beach is 0.6 mi (1 km) away. 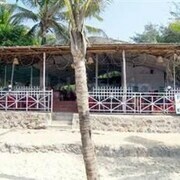 Situated in Benaulim, this hotel is within 1 mi (2 km) of Maria Hall and Benaulim Beach. Colva Beach is 1.4 mi (2.2 km) away. 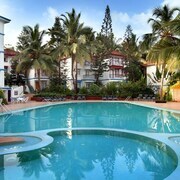 Situated in Benaulim, this hotel is within a 15-minute walk of Maria Hall and Benaulim Beach. Colva Beach is 1.2 mi (2 km) away. Fantastic place staff could not do enough for you. We will return. 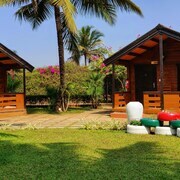 Good all round property but the system you use for payments and wifi are archaic and way behind th systems in Vietnam, which is a country far behind India in the holiday business. Visitors give high marks for the beaches in Benaulim, which is also known for its gardens and seafood. This relaxing city also attracts tourists with its spas and golfing. Around the area, top sights include Varca Beach, Cavelossim Beach and Arossim Beach.